My story of determination and hard work! 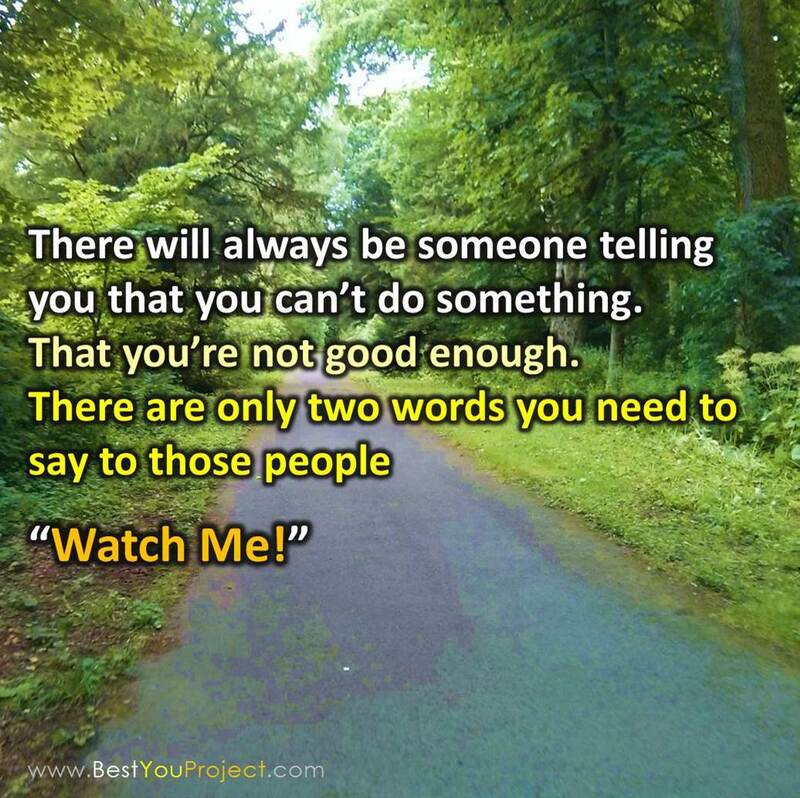 When someone says you can’t achieve something, that you’re not good enough and you’ll never make it … there are only two words you need to say back … “Watch Me!”. I left school at the age of 16 with no higher qualifications and not a lot of hopes or plans for the future. After a bad bout of bullying in my first job I found myself at the age of 19 working in an extremely mundane job, doing something I had no interest in, with no real prospects, and all the while listening to all those people telling me I wouldn’t amount to much, that I couldn’t do something special with my life. For too long I had been listening to all the negative people around, some who even made out I was stupid just because they had no ambition themselves. While working in the factory my mind constantly wandered onto how I could possibly make a better life for myself. I didn’t know how truly intelligent I was so I decided to take some night classes to find out my strengths and after 2 different courses I realised that for years that I had been selling myself short. When I finished the second course I knew I had to take action so I decided I had to make a major life changing decision. I had to prove to myself, and to the world, that I was capable of so much more. I handed in my notice and decided if I wanted to make something of myself I would have to go back to college. When I told my friends and people around me what I was doing the message back from the majority was resounding “what’s the point in that”, “what a waste of time” and “you’ll never get a degree”. It was deafening … but it didn’t stop me. Sure a few people said well done and a few believed I could achieve great things and that was supportive, my mum being one of them but the overall consensus was “you’re wasting your time”. If anything all the negative opinions just fired up the motivation in me even more. I kept going and day by day, month by month my self-belief grew. My confidence in my own abilities soared … and 4 years later I proved all the doubters wrong standing proudly with my degree and a world of self-made opportunities at my door. 15 years on from the day I announced I was quitting my job I am now a business executive with a career at managerial level, living in a home I only once dreamed of having, driving a car I’d always wanted, with 2 beautiful kids and an amazing wife. This is what is possible if you just take that first step. This is what is possible if you decide this is not how your story is going to end. You have the power to make yourself into anything you want to be … you just have to take the first step, and have the desire and determination to follow your plan through. Moral of the story – believe in yourself or nobody else can. Don’t listen to doubters and go out there and make things happen. This is your life, don’t let others fears and judgements hold you back … you have the key and power to do whatever you choose so make your choices wisely and make them happen. Previous Post Why you should change your assumptions of what others think about you! If more people became deaf to the naysayers, imagine the creativity that would be released. Aren’t you glad you did? Pingback: I am just a genuine guy from sunny Scotland | Welcome to a new friend: The BEST You Project | Hey Sweetheart, Get Me Rewrite! Hey, guess what! I nominated you for the Versatile Blogger Award on my blog 🙂 Congratulations! Well done and well said. It’s nice to be able to prove people wrong! Amazing that I came across this today and tomorrow I start my first day in college after 14 years out of school! Wow, captured every essence of my thoughts on the doubters and mean words that have been cast against me about my own journey and dreams! Just wonderfully said, and congrats on making your own path and allowing your dreams to blossom 🙂 thanks for the follow!